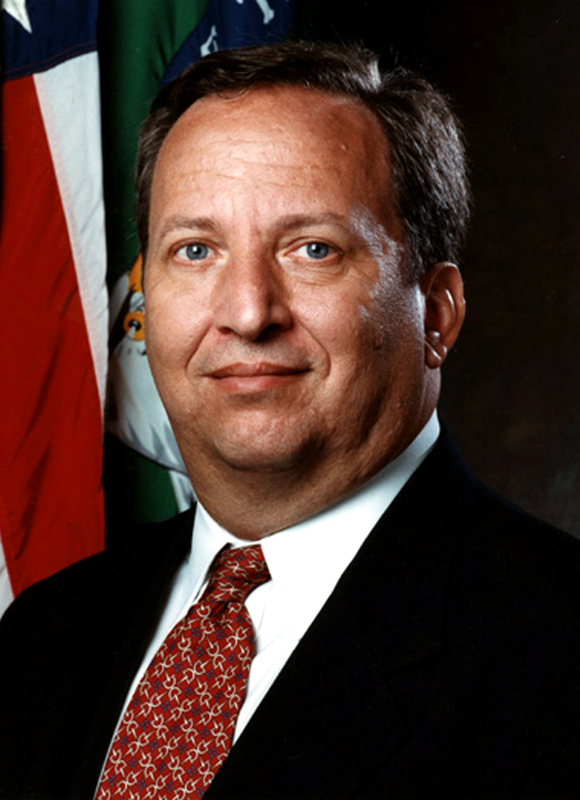 Larry Summers is out of the running for chairman of the Federal Reserve after he notified the President yesterday “that any possible confirmation process for me would be acrimonious and would not serve the interests of the Federal Reserve, the Administration, or ultimately, the interests of the nation’s ongoing economic recovery.” Summers is right here. After Jon Tester (D-MT) announced Friday that he would vote against Summers in the Senate Banking Committee, it became clear that his confirmation process would be extremely difficult. His decision to bow out saves an ugly intraparty fight between the Administration and Senate Democrats. It was a fight that the President should’ve won, but wasn’t going to and Summers knew it. To start, Obama should’ve nominated current Fed Vice-Chair Janet Yellen from the beginning. It should’ve been an easy decision. But the President loves Summers and was seemingly set on choosing him from the start. It wasn’t the optimal choice, but Summers would still have made an excellent Fed Chair. This is what makes it so absurd that Tester and other liberal Democrats were going to vote against him. Larry Summers withdraws from the Fed Chair search. Summers is, by all accounts, a brilliant economist. However, many liberals were wary of his prominent role in the repeal of Glass-Steagall and the deregulation of the derivatives market in the late ’90s. There’s no question that Summers was a leader in making those decisions, but Summers has also learned from them. He supports banks holding greater levels of capital, one of the focal points of Dodd-Frank. In addition, there’s not much information on Yellen’s regulatory beliefs. She’s an economist by trade, not a regulator. But skeptics of Summers inherently believe that she would be a tougher regulator than him. As Josh Barro pointed out on Twitter last night though, if Republicans thought that was true of Summers, they would’ve supported him as well. But that hasn’t happened either. The fact is that Summer would in all likelihood have implemented Dodd-Frank in a similar manner to how Yellen would. Other arguments against Summers is that the nomination of an elite Democrat would politicize the Fed too much. But this argument is overblown. The Fed is already a politicized institution and nominating Yellen over Summers wouldn’t change that. One of the least covered areas of this debate has been Yellen and Summers views on monetary policy. Yellen is considered more of a dove, but only slightly more. Markets perceive a larger difference between the two than may actually exist. Finally, Yellen’s proponents argue that Obama has done a poor job appointing women to economic positions. This is true, but it’s not a strong enough reason to oppose Summers. For all those reasons, Yellen is a better choice. But she’s only slightly better. Summers would still likely do an excellent job as Federal Reserve chairman. Both candidates should have had no problem receiving Democratic support. Instead, liberal Democrats jumped on this as a chance to fight the President. But why? This really does weaken Obama: he can’t even get his own party to support an extremely strong candidate in Summers. Does he have any sway on Capitol Hill at all? It’s increasingly looking like he doesn’t. This perceived weakness hurts not just Obama, but Democrats as a whole in trying to pass other legislation. A weak President is bad news the Democratic party. This is why it was absurd for Democrats to vote against Summers. They may get a slightly better Fed Chair in Yellen (or maybe a worse one, if Obama nominates someone else) in return for showing that the President doesn’t even have sway in his own party. Does that sound like a smart move for Democratic senators and the Democratic party? It sure doesn’t to me.